In 1896 Charles Davison wrote in Philosophical Magazine, in an article entitled "On the Diurnal Periodicities of Earthquakes", that the studies he made regarding the earthquakes he researched around Tokyo, indicated that noon was the most likely hour for a quake to strike. We might want to take something written so long ago with a grain of salt, except for the judgment of history. Twenty-seven years after "Diurnal Periodicities" was published a cataclysm occurred in Tokyo. Funk and Wagnalls Encyclopaedia describes the event as "one of the most severe earthquakes ever recorded." More than 200,000 people were killed, countless others injured, and Tokyo, left nothing more than a smouldering pile of cinders, was actually in danger of being erased from the map of the Earth. This all happened in 1923, on September 1st - at exactly two minutes past noon. A year earlier, in 1922, the expanded edition of Alfred Wegener's "Origin of Continents and Oceans" was published. Wegener is the father of plate tectonics; he is to seismology what Darwin is to biology. One would expect that his work would have produced earth-shaking results to rival the Great Kanto Quake the year before. Things, though, turned out a little differently. Wegener was attacked with such a cacophony of scorn comparable to few in the history of science. He was described as "blind to every fact" and was called "the footloose type -- undismayed by the awkward, ugly facts about his theory." The Royal Geographical Society dismissed it out of hand. The American Philosophical Society called it "utter, damned rot!" In New York, in 1928 at a symposium of the American Association of Petroleum Geologists he was booed off the podium and was almost physically set upon by delegates in the audience. Wegener, amazingly, refused to give up. In 1930, he mounted a research expedition to Greenland, determined to find evidence that would link North America and Europe. There he remains to this day, having fallen into a crevasse, in an heroic attempt to rescue one of his young research assistants who had become lost in an ice storm. Mainstream seismology does not talk at all about Charles Davison, and when they mention Alfred Wegener they certainly now have not only taken his dunce cap off, but it is as if it were never there in the first place. It is a great surprise to most people to learn that modern seismology had to be dragged kicking and screaming to the idea of plate tectonics, and even more surprising to ponder the fact that it was not fully accepted until many decades after Wegener's death - in 1960. Seismology, therefore, is a very young science, a science too young to have any business using the words "never" and "impossible". Yet that is just how many seismologists will respond when the unspeakable topic of earthquake prediction is broached. Seismology will not touch the subject, which makes for a very incongruous situation. It is as if aviation engineers only existed to catalogue the reasons that make flying impossible, or doctors who do nothing more than chronicle the many ways people can die. Indeed, one almost wonders if an amnesia bug has bitten the world's seismologists. In truth, there is a long list of scientific abstracts that point to at least one very solid clue to how quakes might be triggered: lunar and solar gravitational tides acting in tandem. If I were to list the ponderous catalogue of studies that point directly to tidal triggering of earthquakes, starting as far back as the 1840s and continuing unabated in every decade since to the present, I should wind up with a tome that would rival "War and Peace" in length -- something the editors of the Naked Scientists have asked me to avoid. 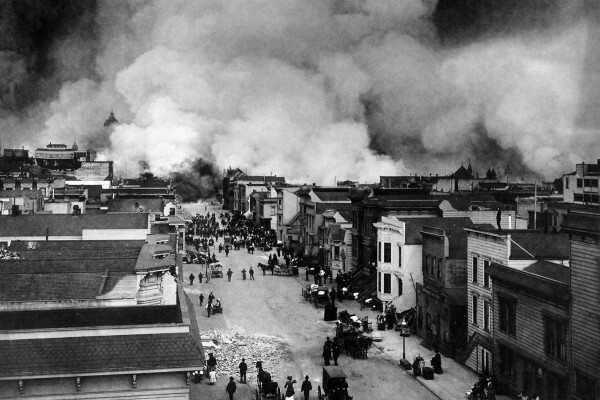 The history of disastrous quakes in Southern California fairly screams an important clue to the "impossible" problem of trying to forecast seismic events on the West Coast. Regarding the good-sized tremors that have rocked Southern California from Long Beach (1933) to Northridge (1994) approximately 16 large (6.0+ on the Richter scale) quakes were evidenced during that 61 year period. Here are some unassailable facts about them: The Sylmar quake hit at 6:00am. The Whittier Narrows and Sierra Madre quakes both struck one minute apart (7:42am and 7:43am) while the Big Bear quake (7:50am) followed them by only a few minutes. The Landers quake, the Gorman quake of '52, and the Northridge tremor all occurred within a seven minute window (4:57am, 4:51am, and 4:50am respectively), with Gorman and Northridge just a few seconds apart. The pattern of quakes also striking at dusk can be evidenced going back all the way to the disastrous Long Beach shaker of 1933 which struck at 5:54pm. The earthquake that rocked San Bernardino on New Year's Eve 1948 clocked in at 5:18pm. However, to take this idea out of the realm of coincidence and put it firmly into that of plausible scientific periodicity, eight of these quakes also struck during a new or full Moon phase. The tremendous gravitational strength of the Moon (when new or full), combined with the solar tides exerted on the San Andreas at dawn and dusk, is a force to be reckoned with. With the fault line running almost directly north and south and the tidal pressures pulling laterally, the hypothesis is that the Pacific and North American plates tend to slip more easily past each other. One is hard pressed to imagine any other dynamic for such a stunning scenario as that which the historic record provides. For hard-bitten sceptics, not only did those eight quakes transpire at dawn or at dusk, not only was the Moon either almost perfectly full or new, but moreover, the alignment in each of them was extremely tight insofar as the celestial mechanics is concerned. They were all near-syzygy events; the three bodies (Earth, Moon and Sun) all in a line, a focused vector of forces no more than 2.5 degrees in error (outside of perfect eclipse). If snapshots of the face of the sky can be re-wound to check the position of celestial bodies in the past when earthquakes were known to have occurred, then it can also be fast forwarded to evaluate the hypothesis that future tremors will tend to strike at just these same times. That is exactly what was done. Times and dates of higher probability for seismic activity on the West Coast were calculated, published and distributed throughout Southern California, outlets all over the West Coast, and publicised on nationwide television and radio ("Predicting the Next Great Quake" 1996). For the sake of brevity, suffice to say that at least a half dozen good-sized events were forecast successfully -- within hours, within minutes. The May 2, 1996 Seattle quake, for example, the largest quake to strike that city since 1965, and which put an untimely end to a nationally-televised baseball game between the Seattle Mariners and the Cleveland Indians, clocked in a mere 69 minutes outside of the three hour window published months earlier. The reader should be advised that USGS and mainstream seismologists are less than convinced. However, the official pronouncements that USGS has given out regarding this matter over the last fifteen years should also give the observant reader pause for thought. Oddly enough, what was said in the past is at cross purposes with what is being said now. In 1997, Dr. Lucy Jones, a highly placed functionary for USGS, told the KNBC News in Los Angeles when asked about the tidal triggering outlined in Predicting the Next Great Quake that, "No one has ever proven anything other than random." Just a few months ago, however, Dr. Tom Jordan, Director of the Southern California Earthquake Center, in responding to AOL News regarding the same question raised in Forecasting the Catastrophe answered that, "Studies indicate that tidal effects may have an effect on smaller quakes. There's no evidence they have an effect on bigger quakes." How amazing that a hypothesis like this can go from balderdash to hedged admission -- and all in just fifteen short years. It should be pointed out that no one knows what causes small quakes to turn into big quakes. One would think that something admitted to be a factor in causing small quakes would pique the interest of science--especially in dealing with an "impossible" problem. However, for whatever reason, seismology prefers to leave the matter right there, as if this first clue to such a head-scratching enigma is really no big deal at all. It is a big deal, though. There is a monster quake brewing on the southern section of the San Andreas, a section that has not moved in 300 years. When it does -- and it will soon; every scientist on Earth is in agreement there -- Los Angeles is not going to be faced with a "Big One", it's going to be more like the "Very Big One". USGS estimates that 2,000 will die, 50,000 will be injured, and property damage will be incalculable. Countries in Asia have long since put into place their own earthquake warning systems. China, for example, has an organ of their federal government which for the last 40 years has been in the business of successfully forecasting quakes, and moving hundreds of thousands of people out of harms way scant hours before large quakes have struck. Japan is another example (Tokai Warning System). Earthquake prediction, one has to assume, is only impossible on that side of the Pacific. What I am proposing on our side of the International Date Line is something that would cost nothing, could be put in place tomorrow, and might ameliorate the effects of the catastrophic event that most certainly is looming for Southern California: the first step toward our own warning system. Just as newspapers had started publishing UV Indexes to provide members of the public with some idea of the risks their sunbathing activities might pose, I am proposing the same sort of blurb in the meteorological sections of West Coast newspapers. Tens of millions of people, making slight changes in their routine, given warning about higher-probability times and dates, can do more than any army of safety experts. The greatest weapon any enemy has is surprise, and police, fire and paramedic officials -- also making modest changes in the way they do business from time to time -- could make the difference between an unimaginable catastrophe and a hard-hitting disaster. We have a colour-coded probability gradient for possible terrorist attacks; why not something like that for an event we know will certainly happen? This article began with Charles Davison's story, and that is a good place to end it. He lived for many years after his ideas were bandied about, with nobody listening. No one knows what he thought about a quarter of a million people being swept to their deaths at the very moment he had come to recognise as being fairly probable. On a personal note, I think about him every time I am preparing for an interview. I realise that if my poor powers of persuasion are lacking, I will wind up exactly where he is: in the dustpan of history, along with those dozens of eminent seismologists who have been pointing directly at the tides for 170 years, without the slightest success in doing something -- anything. www.gov.ca.gov/interact), rather than the one for Amazon.com. Tell him that you are nonplussed that this matter is not in the hands of an independent panel of scientists to determine the viability of what is been written in my books, and that it is your opinion that he should empanel one -- forthwith. And, if you disagree, please do the same, for the sake of putting a muzzle on someone who is certainly asking for such treatment if everything that has been written turns out to be just plain dead-wrong. Charles Davison should have done something like that. And, if history is going to repeat itself, it is not going to have the slightest help from me. Previous How do plants develop?